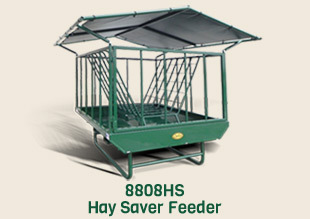 Building on Diller Ag Equipment's nearly 30 years of experience, Diller Equine is leading the industry today with innovative hay feeders for horses. Along every step of the development process, Diller Equine feeders have been designed with the needs of the equine industry. 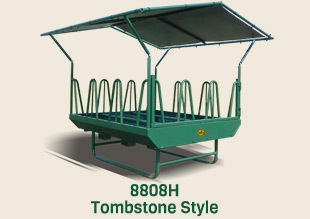 Rather than modifying an existing cattle feeder, Diller Equine feeders have been designed around horses with input from experts in the equine industry. This approach, along with extensive testing, has produced the most efficient, safety conscious and cost effective hay feeders available today for horses. 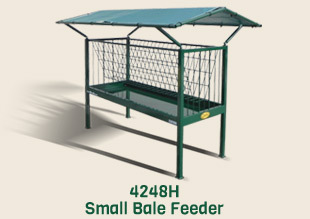 Diller Equine offers horse feeders designed to accommodate large round bales as well as large square bales, and our lineup of small square bale hay feeders are perfect for smaller operations or those feeding horses in pens.